Citrix Systems, a global client and leader in innovation amongst technology enterprises partnered up with SL+A to design a new office reflective of their industry status. 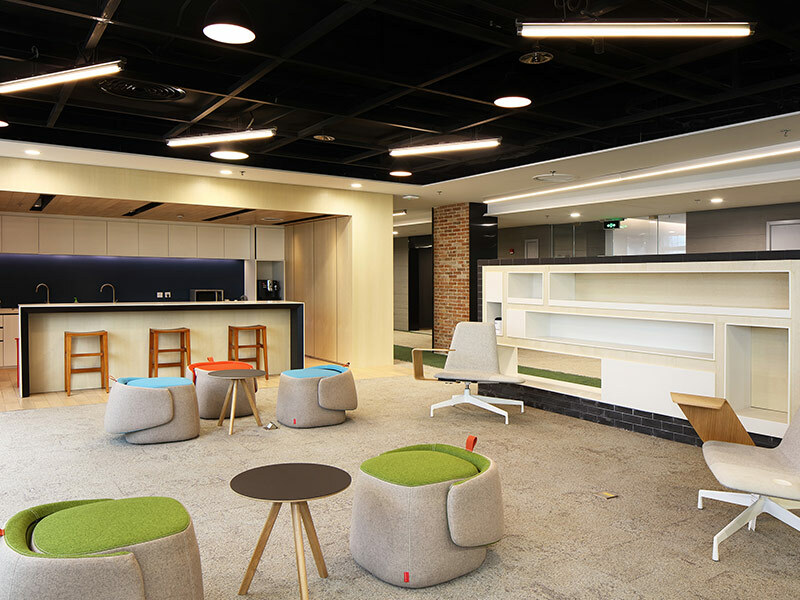 Located in the Jiangning District of Nanjing,the Citrix Systems China R&D Technical Support Center is designed with a fresh, new concept. Innovation comes from effective communication. As such, the design facilitates a higher level of connectivity between staff. Research shows that a vast percentage of the population operates in 3 spaces: our First Space (our home), our Second Space (our workplace) and our Third Space (social surroundings such as cafés, parks or clubs that separate the two usual environments we find ourselves in). Creativity blossoms in the latter as we find ourselves comfortable with our surroundings and able to express ourselves freely. By creating a space staff would see as a combination of the second and third space, we are able to help them overcome inhibitions usually associated with the workplace and allow them to unleash their creative ideas in a space they feel it is safe to do so. This fusion of the second and third space is complemented by an effective selection of materials. Exposed mass concrete, brick, wood and metal finishes combine to give a warm, nostalgic yet natural feeling to the space. These finishes are complemented by green accent walls and colorful loose furniture injecting energy for sustained efficiency.